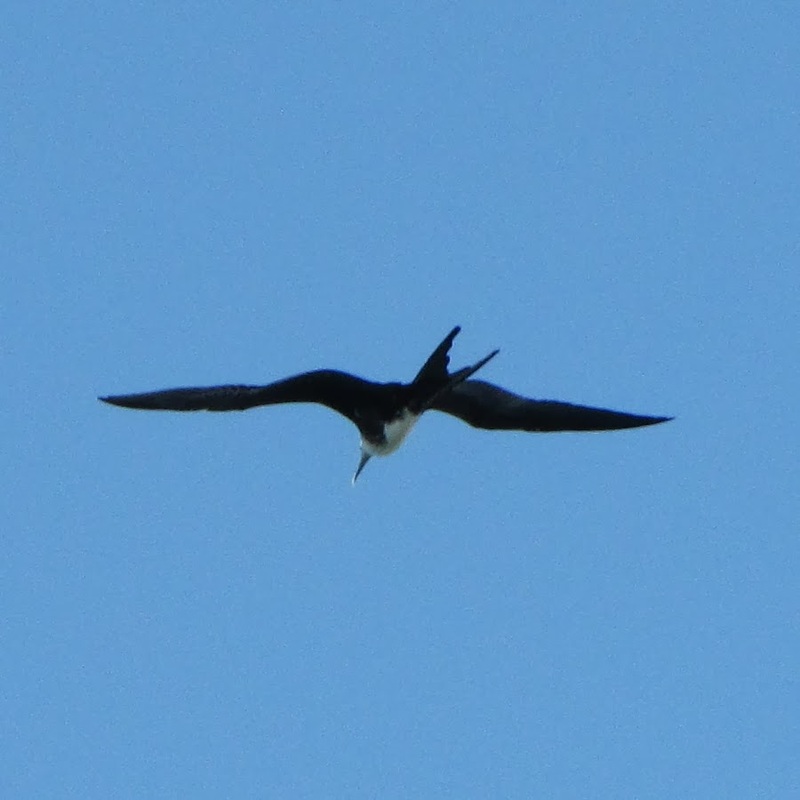 There are two types of Frigate Birds in Galapagos: Great and Magnificent. Though they may be difficult to tell apart, there are some distinguishing features. This is what I usually rattle off, "Generally speaking, Magnificents are larger. Juvenile Great Frigate Birds have yellow heads, Juvenile Magnificents have white heads. Adult Greats have a green tinted feathers, Magnificents have purple. Greats sound like a turkey; Magnificents like a drum." That's a lot to absorb and recall when you don't see them everyday as I do. Thanks to a recent guest with an unusual mind, here's some help in remembering the difference between Great and Magnificent Frigate Birds. Start with the premise that Magnificent Frigate Birds are like royalty. They wear purple and white royal robes. Drums beat in their honor. Regal and large, they walk into their court. Now you can remember - like royalty, Magnificents are larger in stature and have purple feathers. Juveniles have white heads (like ermine on a royal's purple robes) and the adult sounds like a drum beating as royalty parades in a royal procession. Everything else belongs to the Greats: smaller, green (for "Great"), yellow and sounds like a turkey! Next week - it's "The Dating Game" - Frigate Bird style!